SAN DIEGO-In an effort to conserve water amid the state's severe drought, SeaWorld officials announced Tuesday that the southern California marine park had drained all of its animal tanks halfway. "When facing a crisis this dire, everyone has a responsibility to make difficult sacrifices, which is why we at SeaWorld have decided to reduce the amount of water in all our whale, seal, and dolphin habitats by 50 percent," said SeaWorld San Diego spokesperson Patricia Leeds, adding that the marine animals only needed a couple of inches of water to survive and that evaporation could be prevented by simply covering many of the creatures with tarps. "Our trainers are going to hook the orcas up to a winch and flip them over about once an hour to help their entire bodies stay moist. There's still enough water in their enclosures, especially if the animals stay in one place like they've been doing." 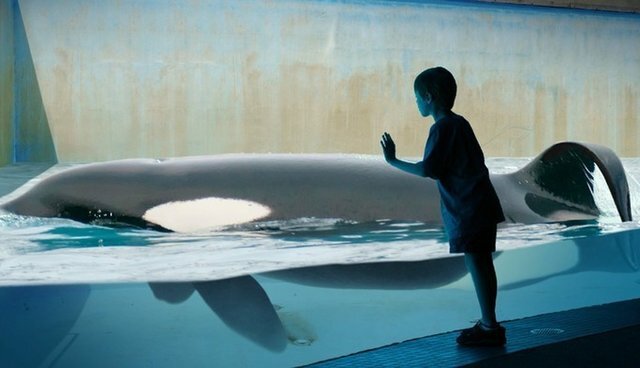 Leeds added that implementing the new measures was not a problem for the company, as SeaWorld's management had already been planning on making such a change to its animal habitats anyway.